"Another beautiful example of shan architecture. This temple has an elaborate tiered wooden rood and also features a bronze Buddha statue from Mandalay. The day I visited there was no other tourists around and it was so nice to walk around and take in the beauty of the temples, wat and buildings." 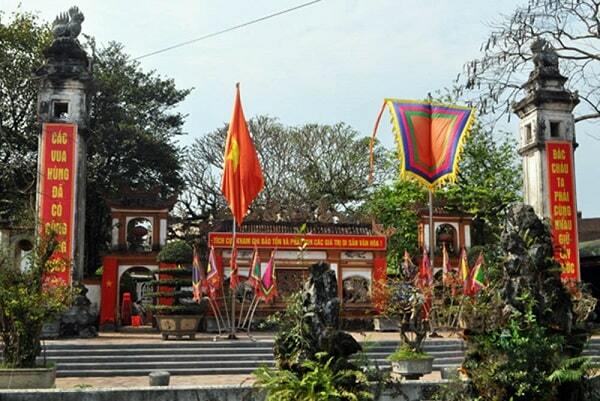 De Hong Son temple - was first called the Vo Mieu Temple (Temple of Martial Arts) and then the Duc Ong Temple. Martial Arts are mixed martial fighting sports. The temple is located at the Hong Son Ward. 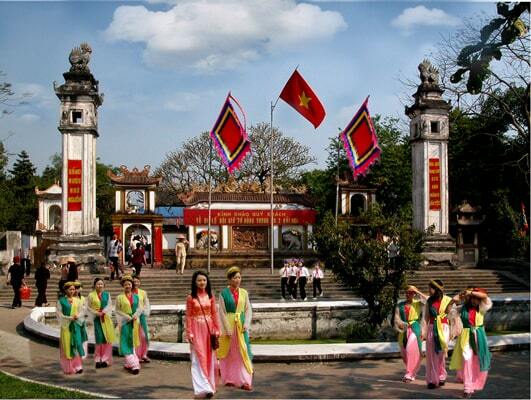 This temple lies next to Vinh market and is well-known as a national treasure with a number of historical-cultural sites. During the last war (1964-1972), the lower sanctuary was ruined by bomb. In 1984 the temple was renamed Hong Son. The area hosts several buildings, including an ancestor worshipping house, a shrine house and two impressive wings. 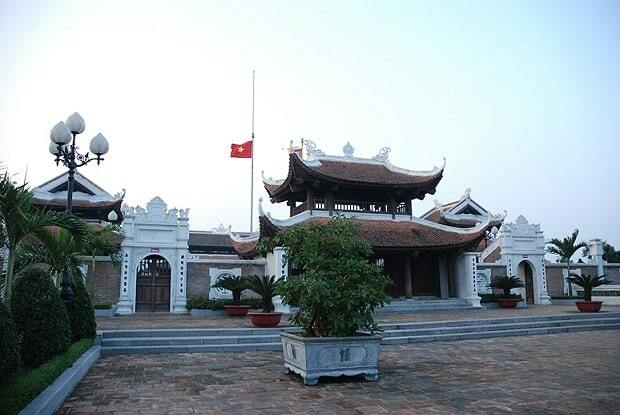 It was built in 1831 by provincial education officer Nguyen Dinh Lap and General Ho Van Luu. In 1837, its Upper and Middle Halls were completed, while the Lower Hall, right and left houses were still under construction. In the US destructive war (1964-1972) the Lower hall was bombed. On the 210th anniversary of Phuong Hoang Trung Do (1998) the Lower Hall was restored to serve the religious demands of pilgrims and tourists. Hong Son Temple is an excellent architectural vestige imbued with the Nguyen Dynastys features and style. It still preserves a valuable collection of religious statues. Now the temple has 19 perfect architectural works, attracting a lot of tourists and pilgrims. The temple was classified as national-level historical architectural site in 1984. - On the 3rd day of the third lunar month: Holy mother Lieu Hanh's death anniversary. - On the 10th day of the third lunar month: King Hungs' death anniversary. - On the 20th day of the August lunar month: Saint Tran Hung Dao 's death anniversary. Vinh market is the largest wet market in the province of Nghe An. There are about 563 vendors, who sell all different products, such as peanuts, beans, rice, meat, fish, and vegetables. Specified: 200 sell meat and fish; 50 sell vegetables; 200 sell processed foods and candies, etc. ; and 45 sell prepared foods (like noodle soup or other small restaurants). Most fresh produce in Vinh Market is sold wholesale, then resold in 22 markets across Vinh city, or by ambulant vendors. "A very beautiful Shan-styled temple that is the 2nd oldest temple. The main shrine contained two big Buddha statue, golden statue at the back and white jade statue at the front. The original statue is the golden one at the back, and the white jade statue was donated by the locals during the rebuilt many years ago. Temple is just behind the Panorama Hotel using the back gate, or can also be entered using the small front gate along the main road, or the bigger entrance along the side road to the wet market."